Click on a day first. A pre-registration drop down menu will appear at the top of the form. From here you can choose the appropriate age group and time for your Class. ​Classes meet one day per week and are about one hour long. Classes include a Lil Sluggers T-Shirt and hat. The kids will be grouped by age and skill level. Classes are on Saturday morning at 9:00, 10:00 and 11:00 am. Decide if you want your child to play once a week or twice a week and click on the appropriate age group. A pre-registration drop down menu will appear at the top of the form. From here you can choose the appropriate age group and time for your Coach-Pitch Instructional League practice and/or game. 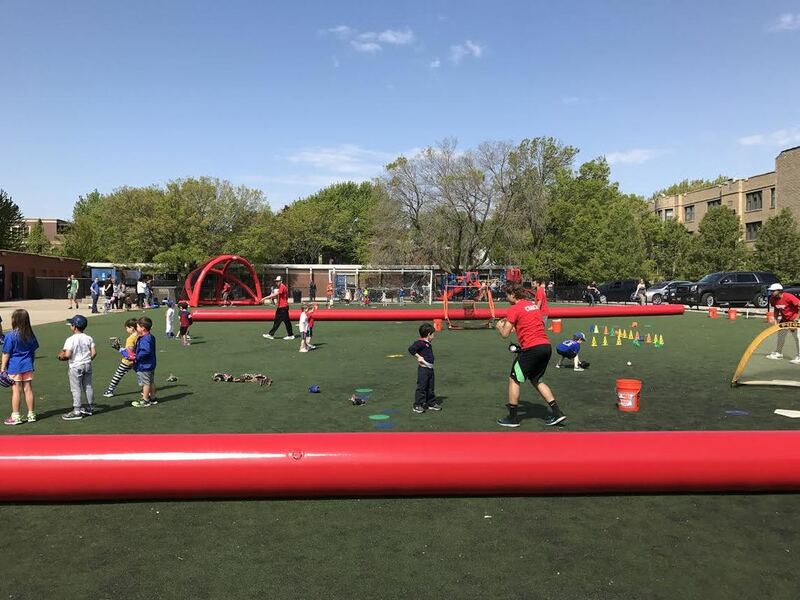 Practices for the Summer Session are held outside at Coonley Elementary Field at 4:00 pm on Monday, Tuesday, Wednesday or Thursday. Games are on Saturday morning at Blaine Elementary Field at 9:00,10:00 or 11:00 am.